Charles A. Emlet, Ph.D., MSW, ACSW, is Professor of Social Work, and joined the University of Washington Tacoma Social Work faculty in 1999. Previously he held social work positions in direct practice and administration with Solano County Health and Social Services in California. He is Adjunct Professor with the University of Washington School of Social Work, and Affiliate faculty with the UW Center for AIDS Research. He was a Hartford Geriatric Social Work Faculty Scholar from 2001-2003 and twice a John A. Hartford National Research Mentor. He received his Ph.D. in Social Welfare from the Mandel School of Applied Social Sciences, Case Western Reserve University, Cleveland, Ohio and his MSW from California State University, Fresno. He is a member of the Academy of Certified Social Workers. Dr. Emlet is co-author of In Home Assessment of Older Adults: An Interdisciplinary Approach, 2nd edition, and HIV/AIDS and Older Adults: Challenges for Individuals, Families and Communities. 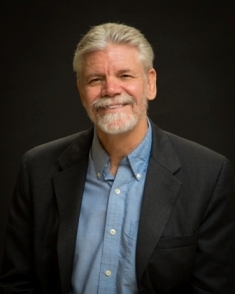 He has published more than 70 journal articles and book chapters and serves on the editorial boards of The Gerontologist, the Journal of HIV/AIDS and Social Services and the Journal of Gerontological Social Work. Dr. Emlet is a Fellow of Gerontological Society of America and a member of the Association of Gerontological Education in Social Work (AGE-SW) and the National Association of Social Workers. His current areas of research include older persons living with HIV/AIDS and LGBT aging. He is currently a co-investigator on the National Health, Aging, Sexuality and Gender Study and in 2004 received the University of Washington, Tacoma's Distinguished Research Award. In 2013 was a Fulbright Visiting Research Chair and Fulbright Scholar at McMaster University in Hamilton Ontario, Canada.